I really like the texture of the flower applique. What do you guys think? Is this something you would wear? Leave a comment! I for sure would wear it, especailly for the price. 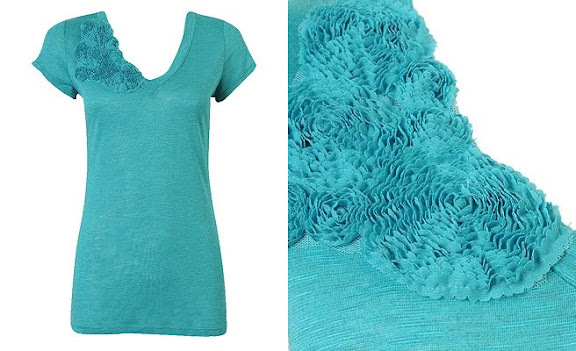 I love the embellishments on this top, but I also LOVE the color! ummm love this pretty sure i need it!! !